Bubble gum, Peppermint Sticks and Cotton Candy are just 3 of the delicious delights awaiting you on the crowded shelves of this delectable Sweet Shop jigsaw puzzle! Among the nostalgic glass jars and ornamental tins you'll find elements inspired by vintage circus themes including clowns, exotic animals, stunt riders and brightly painted carousel horses. 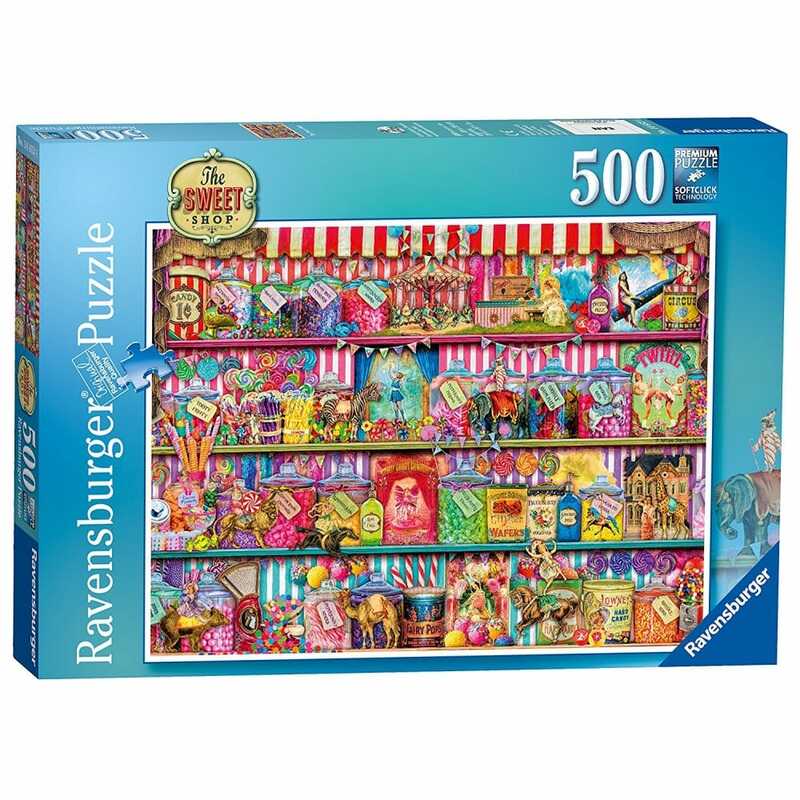 This vibrant puzzle promises to keep you entertained as you sort, assemble and discover a range of colourful characters.